Very young infants see quite poorly - they do not focus on objects more than 8-10 inches away. It is not unusual to see them cross their eyes prior to 3-4 months as they begin, even at this young age, to develop their visual system. By 6 - 9 of age, most infants will have basic visual skills and begin to really challenge and train their vision systems. 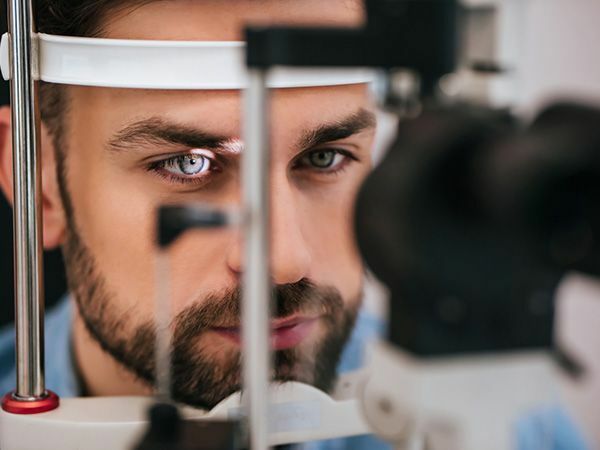 As the basic visual system begins to develop - two significant medical eye conditions may be detected prior to Age 1 Year - Amblyopia (Lazy Eye) and Strabismus (crossed-eye, wall eye). The earlier these conditions are detected - the more effective and speedy the resolution. First Eye Exam - Age 6 months to 18 months. These are extremely important vision development years for a child. By age 2, the eyes will be physically well developed - AND will remain at that same size for the rest of their lives! But simply reaching optimal size does not immediately bestow optimal sight on a child. Children must continue to train their vision systems to see properly, just as they teach themselves to crawl, walk, and run. The critical basic vision skills including fixation, eye movement control, focusing, and eye teaming are all being developed at this time - and are extremely important building blocks for the more challenging vision tasks such as reading and writing which are just ahead. Eye-body coordination, especially eye-hand coordination is closely related to vision development (VIGS, VIPS, VMPS). Annual Eye Exams during this period will detect the early onset of vision problems, as well as amblyopia and strabismus. Wonderful, exciting years for a child. Learning their ABC's and basic reading skills in pre-school and Kindergarden, then on to more challenging reading tasks in grades 1 - 4. Reading, writing, and copying are taught in progressively challenging steps - from large print to smaller print - simple printing to sentences and paragragphs. The blackboard also becomes an increasingly important tool to convey information. For a child's vision system - these are the most challenging of the formative years. Many children will make a smooth adjustment, visually, but 20 percent of ALL children will have some type of binocular vision deficit (AOA Clinical Practice Guidelines). A child MUST have good near visual acuity AND good visual skills (both eyes working together, accurate eye movements, and good focusing ability) to reach his or her potential. 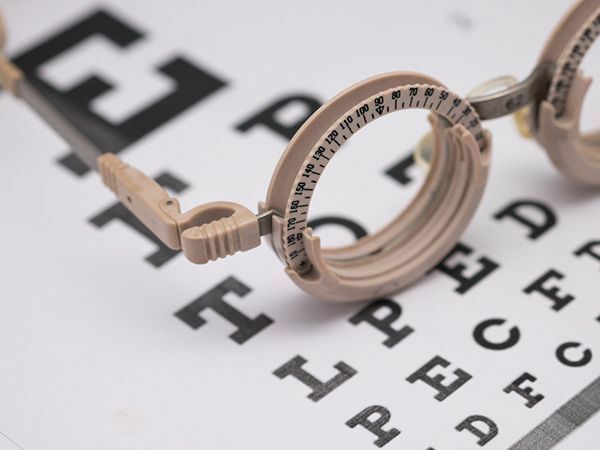 The 20/20 Eye Test is NOT a good predictor of vision problems at near - or a child's ability to read easily - it only measures sharpness (acuity) at 20 feet. Annual Vision Exams during this period. A child may have learned to read by first or second grade with little or no difficulty. As reading demands increase in third and fourth grades, and the child is required to read smaller print, reading problems can start to appear. Words may be misread, frequent loss of place may occur, reading may cause fatigue; any and all of which can lead to a decreased desire to read and even total avoidance of reading. When this happens, children are often accused of being lazy or just not trying. Usually, this is just not so. Most young children try very hard to please their parents and teachers. To no one's surprise, children with these types of correctable visual skills deficits tend to avoid reading and instead use rote memorization or other types of learning to compensate. But by grade 3 or 4, it's so difficult to read easily that any/all behaviors come into play to avoid it. The critical "take-away" here is that if a child has learned to read in K and grade 1, 2, and then reading problems subsequently occur, the first thing that needs to be assessed is the child's visual performance. The child needs to be seen by a developmental optometrist so that a comprehensive vision exam can be performed. Sources: American Optometric Association, AOA - Infant Vision - Birth to 24 Months of Age.